Buy OnePlus 5 Slate Gray (6GB RAM + 64GB) Online Lowest Price in India. 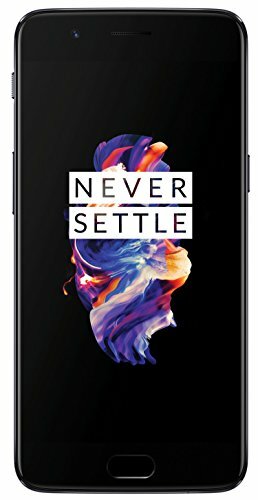 Check OnePlus 5 Slate Gray, Specs, Reviews & Compare. 13.97 centimeters (5.5-inch) capacitive touchscreen FHD display with 1920 x 1080 pixels resolution. 1-year manufacturer warranty for device and 6 months manufacturer warranty for in-box accessories. At this price point, OnePlus 5 Slate Gray (6GB RAM + 64GB) prove better and affordable phone, when it comes to camera quality, gaming feature. because it is a feature loaded phone in Indian market. Gofferkat suggests you buy this phone.